Andrej Miklánek works as the Marketing Expert dedicated for TV content at Slovak Telekom and T-Mobile Czech Republic from January 2016. He has launched 2 exclusive TV channels - TV Ťuki for preschool children and Folklorika for universal viewer group. He was the director of Business Development for pay TV channels at JOJ Media House (August 2013 – December 2015).Andrej joined RTVS in 1997 and held a number of positions, he was the Program Director and the Project Manager for Sport Channel – Trojka (September 2011 - August 2013). 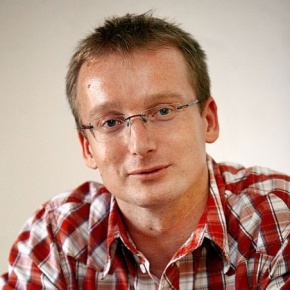 He was the Director of Business Development at Mediaresearch / Nielsen Admosphere Slovakia, s.r.o. for the Czech Republic and Slovakia from 2008 – 2011. Andrej has Master´s degree, Humanities, UK Bratislava, 1996.